When it comes to post processing software, you are definitely going to want to start with Adobe software, but even then there are a few different ways you can go. Which direction you start off in will depend on how much editing you plan to do, what organizational tools you plan to do, and how much time and money you want to devote towards this. To help you sort through your options, here is a comparison of Adobe’s software for photographers. Description Essentially Photoshop-Lite, it is designed to do most of what Photoshop does, but in a more intuitive fashion. It does a whole lot of things really, really well. It organizes, retouches, prints, makes slideshows, makes books, etc. Simply the best photo editing software on the planet, bar none. The Photography bundle of the Adobe Creative Cloud, which gets you both Lightroom and Photoshop for $10 a month. Ok, so that was kind of a trick. But this choice is almost a no-brainer at this point. It will cost you $120 a year, which is only slightly more than the cost of Elements, and you get the best of all worlds. You get Photoshop, the premier photo editing software, and Lightroom, which is great at everything else (organizing, retouching, etc.). I think the best way to explain the strengths and weaknesses of these 3 programs is to tell you how they came about. First there was Photoshop. Photoshop has been around since the early-1990’s, with a new version historically coming out every year or two. It was and is the most powerful photo editing software on the planet. 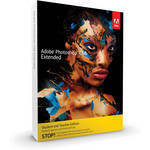 There is almost nothing this program cannot do to a photograph in the hands of a skilled user. Despite its name, however, Photoshop was as much a program for graphic designers as it was for photographers. It was also very complex, difficult to learn, and expensive, costing about $800 to purchase and $200 to update every time a new version came out. Because of its high price, Photoshop was the most pirated software in the world. So in the early 2000’s, Adobe introduced Photoshop Elements. It is a simpler program aimed at non-professionals, and designed to make photo editing software affordable enough that people would stop stealing it. Elements costs only about $80. It will do about 80% of everything Photoshop does (and most photographers will never miss the other 20%). It will guide you through its editing features or leave you to do it on your own. It has a mode to help organize your photos. For most photographers, it is all you will ever need. If you decide to upgrade to full Photoshop, however, you will find that using Elements was reasonably good training for using Photoshop. 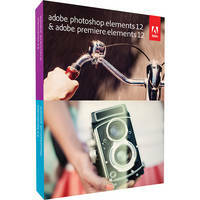 Photoshop Elements still exists as a stand-alone product, and is now on version 12. 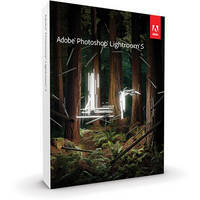 In 2009, Adobe introduced a new product for photographers called Lightroom. It sold for about $200, but nowadays full retail is $149 and you can often find it for about $100. Lightroom was designed for photographers (not graphic designers) and was a departure from Adobe’s other products. As an example of this departure, Lightroom did what are called “non-destructive” edits to your pictures, which made changes made without affecting your original file. Lightroom also provided the capability to edit to multiple pictures at once, which was great for professional photographers doing shoots with hundreds of pictures. Lightroom excels at everything Photoshop doesn’t do. Lightroom is the best organization software that exists. Lightroom has “print,” “slideshow,” “web,” and “book” modules designed to make it simple for you to present your pictures in these formats. Lightroom also has a “develop” module, but it is very limited compared with the editing capabilities of Photoshop. So, in sum, if you want to do serious edits to your photos, Photoshop is still king. Lightroom is the best at everything else. But at $200 for Lightroom versus $800 for Photoshop, many photographers stuck with Lightroom’s limited “develop” module for their photo edits, or else used Elements. Instead of buying Photoshop for $800, you rent it for $20 a month. If you use other Adobe software, you can get the whole suite of Adobe Creative Cloud software for $50 a month. To sweeten the pot for photographers, Adobe introduced the Photography bundle, which is Lightroom + Photoshop, for only $10 a month. The current pricing model makes the case for purchasing Elements and Lightroom much weaker. Why buy them when you can get a year of both Photoshop and Lightroom for not much more? An obvious answer is that if you buy the software, as opposed to just renting it, you are done paying for it the day you purchase it. That’s true, but in practice it rarely works that way. Like most other software products, Adobe upgrades their software frequently enough that in a few years it will be time to upgrade and buy a new version. With the Creative Cloud, you are always using the most current version of the software. As a result, I recommend just getting the Photography bundle. You have the best photo software available. It is affordable. You are always current.